The Bird with the Crystal Plumage is the first feature film from writer/director Dario Argento. Like the rest of his films, it is a giallo—for anyone unfamiliar with the genre, giallos are generally horror-inflected murder mysteries where an outsider (not a detective or police officer) investigates murders committed by a villain who dresses like he really wants to be the villain in a murder mystery (fedora, trench coat, gloves, etc.). If you imagine an Italian director watching Le Samourai and saying "I want to make that with less subtlety and more fake blood!" then you wouldn't be far off. But despite their campy silliness and tendency toward style over substance, I love Argento's giallos. I love the way they feature twists on generic mystery/thriller narratives with psychological components, and Crystal Plumage is no exception. Sam Dalmas witnesses an attempted murder, and the police get suspicious and decide to hold him in the country indefinitely. So Sam makes the logical decision and starts looking for the murderer. (There's not much else to do as a tourist in Italy, after all.) As morbid curiosity turns into obsession, he feels himself getting closer to an answer; but the murderer feels him getting closer as well and won't be caught so easily. The plot is predictable but well executed, with enough tension to make it fun without becoming overly convoluted. The real reason to watch any of Argento's films, however, is the visual style. For me, his style is so intense that it begins to take on a substance all its own. His colors are exceptionally vibrant and luscious, and he makes particular use of deep reds and dark shadows to create a moody atmosphere and externalize the internal emotions of the characters. There's a scene pumped completely full of fog seemingly for no other purpose than to set the scene and depict the fact that Sam's thoughts are (literally) clouded. If you're the type of person to roll your eyes at this sort of overt and purposeful expressionism then these movies are not for you, but for me it plays perfectly. Contributing to this self-conscious sense of style is the soundtrack, which can only accurately be described as ludicrous, maybe even psychedelic. It has exactly three moods, and each is so excessive that it pushes itself into the realm of caricature. The majority of the score is what I would call experimental jazz: like the scenes it accents, it's chaotic but in a controlled and choreographed way. In the more intense moments, the music verges on heavy metal and distinctly recalls the infamous scores written later for Argento by Goblin. And finally there's the whimsical and melodic tone of the more light-hearted moments, but even here there's usually a sinister backbone to it, whether it's playing over a scene of voyeurism or after a traumatic encounter. 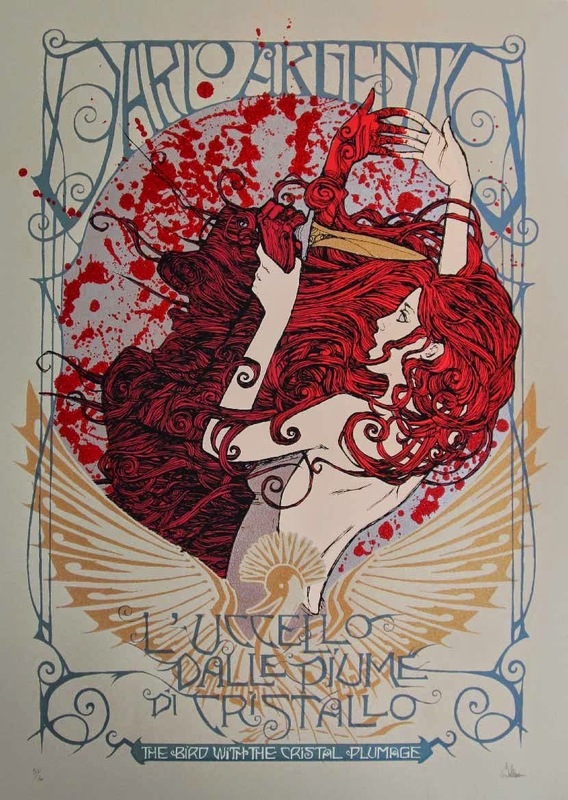 It's definitely not Argento's best work, but it's undeniably impressive for a feature debut. Anyone looking for traditional narrative realism will likely be disappointed, but if you can enjoy movies with an emphasis on visuals and style rather than characters and substance, this is a film I'd readily recommend.